This recipe for Cheeseburger Casserole is one of our new favorites. It combines the flavors of an all-american cheeseburger into a quick and tasty casserole. Just like my one-pan chicken alfredo, this cheeseburger casserole is made all in one pot, even the pasta. If your family likes spaghetti and sloppy joes, they will love cheeseburger casserole! We loved it topped with freshly diced tomatoes and green onions. It would also be great with chopped pickles and shredded lettuce. I’ve written this casserole recipe to be entirely stove-top, so no need to turn on the oven. You can easily make this recipe “skinny” by swapping out the ground beef for ground turkey, and substituting low-fat cheese. An easy one-pot pasta that combines the flavors of an all-american cheeseburger. Add olive oil to the pan, and sautee yellow onions until softened over medium heat. This recipe serves a lot, probably 8-10 at least, and makes great leftovers! The ingredients are easily halved to feed a family of 4. Looks delicious and I bet me kids would really enjoy it! Wow, this looks great! 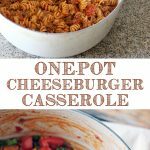 I love one pot dishes.. and cheeseburger inspired? Yes! I’ll definitely be making this soon! Made this tonight, and oh my was it tasty!!! Love that I can make it with ingredients I have on hand. Thanks so much for this amazing recipe!! Hey Melissa, I wanted to tell you that I am so excited to be co-hosting the upcoming giveaway with you and all the other fabulous bloggers. I just spent forever browsing through all of your pinterest boards! You are amazing and this cheeseburger casserole sounds delicious! 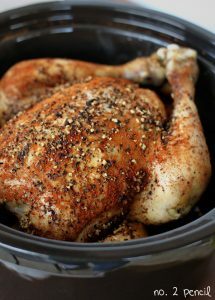 I found this on Pinterest the other day and made it for dinner last night – it was a hit! I used ground turkey and then replaced the salt with Emril’s Essence seasoning because we use it in our burgers. I loved that it was a one-pot meal and I had everything on hand. We’re going to try this again with bacon, blue cheese and barbecue sauce. Oh my, saw this on pinterest just now, I am seriously drooling. Great and easy recipe. My only change would be just using a 28 ounce can of tomatoes instead of whole tomatoes. The whole “cutting in the can” is kind of a silly step in my opinion. 🙂 Otherwise this was a hit in my house! This looks like the perfect dinner Melissa! Yummy! Oh, Melissa. This is a must make! This was delicious! I’m linking back to you tomorrow. Thanks for posting! This sounds delicious! The kids would love this – I will be making this soon! I made this for dinner tonight. It was delicious! The only suggestion I have is buying diced tomatoes in the can. It seems like an extra (and annoying) step to have to cut them up when I can buy them diced for the same price. Otherwise, great recipe! Yay! I’m so glad. Yes, for sure use what works for you and your family! I favor the whole canned tomatoes for flavor and texture, so that is usually what we have on hand. I find the quality in diced tomatoes can really vary! Do I drain the tomatoes?? Thanks!! This is in the pot cooking right now!!! I really like to do one pot dinners!!!! I do plan to make this, but why do you call for a can of whole tomatoes and then proceed to cut them up? Why don’t you just buy a can of diced tomatoes, which are the same price, and cut out that little bit of time? I always have a couple of cans of diced tomatoes in my cupboard. This recipe sounds, and looks, very good! I use whole peeled tomatoes because I like the texture versus diced tomatoes, which still have the skin on. I’m not dicing the tomatoes with my kitchen scissors, just getting a head start on breaking them up in the can. Feel free to skip that step, or you can substitute diced or crushed tomatoes. Thanks for the reply, Melissa. I’m assuming you are in the US. I am in Canada, and the diced tomatoes I buy here do not have the skin on them. I don’t think I’d like crushed tomatoes in this as there wouldn’t be any “chunks”. But it sounds really good and will definitely try it at one of our Friday night family suppers (our grown children and their kids all come every Friday night!). This was so easy and really good. I will be making this again!! Thanks for some great recipes. Thanks Melissa for this great recipe. Made this for dinner tonight and it is a keeper!!! We topped ours with green onions & pickles. I couldn’t believe how much it tasted like a cheeseburger with the toppings. My husband thought it would weird to have the pickles and pasta but he ate 2 bowls. This will definitely stay in my rotation. Thanks, Amy! That sounds great!!! Made this last night. Really good! I added a little more ketchup and used shredded lettuce, tomato, green onion, red onion, shredded cheese, pickles. Yummy! Fabulous and this replaces “Hamburger Helper” that my kids love. I added one hot Italian sausage, a bit of red chili flakes, 2 cloves of garlic, 1/4 c finely chopped red pepper, 1 tbsp. fresh chopped parsley and 1/2 tsp. paprika. Yummy and thank you for sharing. This looks delicious and I love one pot meals. I have a question, do you know if this will freeze well? We are expecting our second baby in April and I’m trying to stock my freezer. I’d love to make the full batch and freeze it into 2 dinners! Thanks for any help. I think this would be great to freeze! I think I might freeze it before adding the cheese, then add it in when reheating. I have made this numerous times as we all like it. I just wanted to say that I find it doesn’t freeze all that well. The noodles become too soggy for our tastes. That said, it’s so easy I don’t mind not making an extra to freeze. I am making this for the second time for dinner tonight. Soooooo good. Thanks for the recipe! Does anyone know if this would freeze well? Trying to make a few things ahead for my family. Found your recipe via Pinterest. What a great meal! Totally blows Hamburger Helper out of the water, everyone loved it and it really did taste like a cheeseburger. We only had green onions and pickles for topping, and like other reviewers we were thinking the pickles would be wierd but it was perfect. This will become a regular meal in our family. I used whole wheat rotini too. 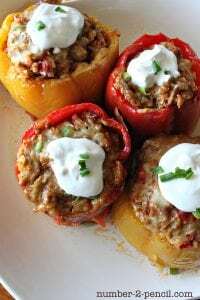 I found this recipe several years ago and love it! I make it often and take leftovers for work lunches. Love it! Hello Melissa…! 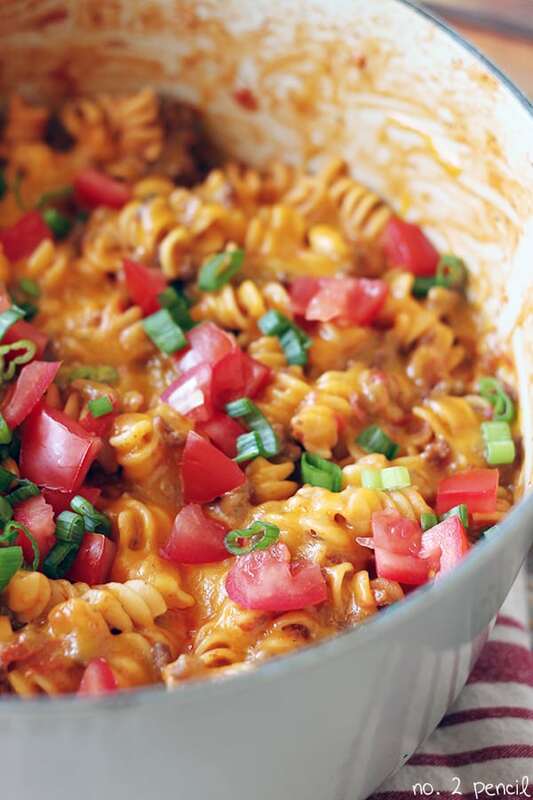 your cheeseburger casserole looks so yummy and colorful, i will make it like you….Thanks for the sharing and keep shared your new recipe and ideas…. !